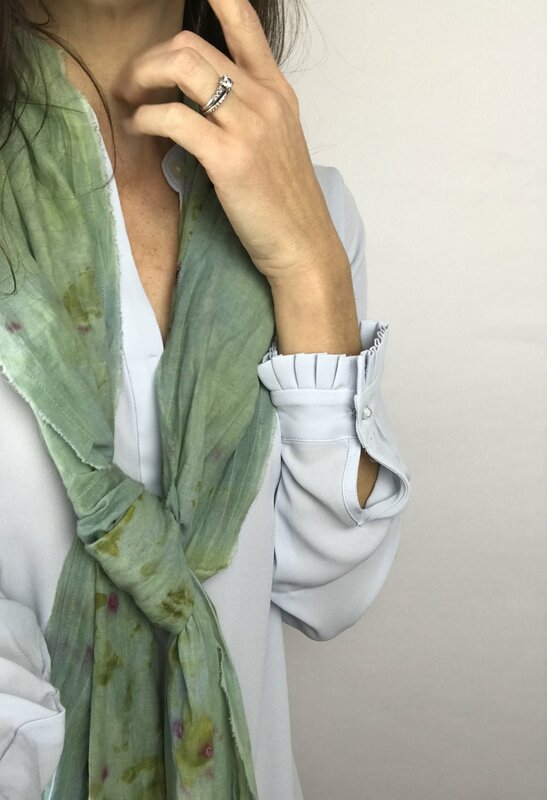 Organic cotton voile square scarf with narrow hem. Wrap it around your neck twice, wear it as a full head scarf, or countless other ways. One-of-a-kind scarf dyed by hand with cochineal, yellow onion skins, and osage orange.